As September 11th approaches, we remember and honor all the first responders who perished in the line of duty that horrific day in 2001. I remember being at the Clive Fire Station that day in Iowa, watching the horror unfold in New York. Seventeen years later, many advances in first responder technology have been specifically created to prevent injuries and reduce line of duty deaths (LODDs). As we remember this tragic day, we’ll delve into several pieces of technology that have been designed to improve safety for firefighters, EMTs, and law enforcement personnel. One of the biggest public safety issues that leads to line of duty death is when agencies cannot track and find first responders on the scene. During the September 11th terrorist attacks, many first responders became lost in the rubble while searching for survivors and later died when they could not be located and extracted. While this problem is less common now, in January 2017, more than 20 firefighters became trapped in a burning building in Tehran, Iran and later died. New technology has been created specifically to locate first responders no matter where they are. NASA’s Jet Propulsion Lab developed a new system called Precision Outdoor and Indoor Navigation and Tracking for Emergency Responders or POINTER. The system uses magnetic waves to determine where firefighters are in burning buildings or other emergency situations, even when traditional GPS, radar, and internet fail to collect and transfer data. Other technology providers are adding thermal imaging cameras into air packs to make it easier to locate victims and first responders trapped under a piece of furniture or rubble. Tracking technology is being developed for law enforcement personnel as well. In June 2017, the Department of Homeland Security Science and Technology Directorate and the Johns Hopkins University Applied Physics Laboratory tested a new app to track personnel in police cars by badge number. As long as a cell phone is turned on, departments can use the application to find officers instantly. With this technology in place, police can avoid line of duty deaths that occur when an officer is in a dangerous situation and has trouble relaying his/her location. Another common cause of injury and line of duty death for emergency responders is medical problems. Almost 20 years after September 11th, first responders are still dying from illnesses they developed and conditions they experienced while responding to the terrorist attacks. Many critical cases of cancer have also been related to the attacks. One way that we are addressing this issue now is through greater information on medical problems associated with firefighting work, as well as developing extensive prevention procedures and containment strategies. In June, Congress passed the Firefighter Cancer Registry Act of 2018, which “requires the Centers for Disease Control and Prevention (CDC) to develop and maintain a voluntary registry of firefighters in order to collect history and occupational information that can be used to determine the incidence of cancer among firefighters.” The bill was signed into law by the president and will hopefully allow the country to better track data on firefighters and cancer rates. According to the National Fire Protection Association, 42% of fatalities in 2016 were caused by overexertion, stress, and medical issues. Many providers are developing revolutionary first responder technology solutions designed to monitor firefighters’ vital signs in real time. Physiological monitoring systems are devices integrated into a first responder’s gear that monitor heart rate, breathing, and temperature. Several products on the market aim to integrate physiological mentoring with radio and other communication systems. This way, these devices can alert commanders when first responders show symptoms of medical ailments, such as heart attacks. Heart attacks are specifically one of the primary causes of firefighter deaths. To improve overall first responder safety, a variety of fitness and health apps have emerged to help firefighters, EMTs, and law enforcement stay in shape and make healthier food choices. Another way public safety agencies are working to prevent overexertion is by scheduling staff appropriately to avoid overworking and allow time for rest and recovery. Staff scheduling software can notify commanders when a first responder has worked too many days in a row and prevent that person from being assigned on duty. Another way that departments are using technology to decrease first responder casualties is by increasing the knowledge that public safety departments have about the incidents they respond to. In 2001, many departments were still using paper, map books, and binders to respond to incidents. Now, many agencies use mobile data terminal (MDT) technology and other vehicle-based systems to help emergency responders get to the scene of incidents and provide them with critical information as they are en route to the scene. With better data coordination, first responders can have a clearer view of incidents and make informed decisions on the ground. Software company Dataminr has created a product to search social media channels for information about emergency situations and filter out posts about fake incidents. During September 11th, we did not have access to many of these social media and internet-based systems. However, the events of last year’s hurricanes demonstrated that social media can be a powerful tool to give responders additional information, especially when cell towers are not functioning. While dispatch and 9-1-1 are still the primary data sources for first responders, this technology helps them gain more information about ongoing emergencies such as natural disasters and large-scale fires from constituents at the scene. Another tool improving situational awareness and providing essential data to first responders is the use of drones, or unmanned aircraft systems. Public safety agencies are using drones in a variety of ways to gain valuable data about structure fires and other emergencies. With aerial views and other capabilities, drones can provide perspective on real-time situations without putting responders in high-risk situations. First responders are also gaining access to more information via specialized training technology. The Department of Homeland Security Science and Technology Directorate (DHS S&T) and the U.S. Army Research Laboratory (ARL) developed a virtual training program called The Enhanced Dynamic Geo-Social Environment (EDGE) to help firefighters and police prepare for active shooter incidents. Another factor that greatly affected response during the September 11th attacks was a lack of interoperability. Many studies have been done on the communication breakdown that occurred throughout New York City. The scale of the attacks also contributed to the confusion and lack of information on the scene. The fire department issued a full recall, ordering all off-duty personnel to report for work. However, commanders had trouble communicating with many of the off-duty firefighters, particularly if they lacked radios or were not included on accountability “riding lists”. Fire and police leaders also had trouble relaying information across separate radio channels. One way in which this is being addressed is through the creation of FirstNet. 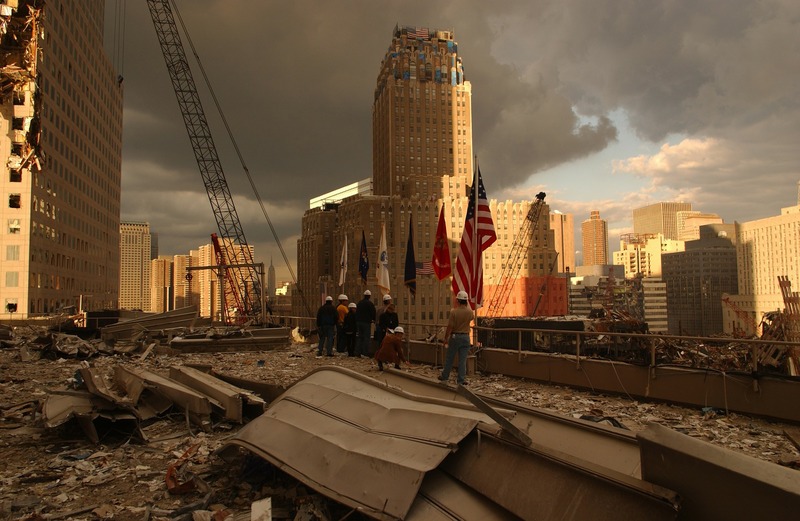 Following the terrorist attacks of September 11th, 2001, many in the public safety industry called for a national broadband system to improve communications and interoperability across jurisdictions. FirstNet has partnered with AT&T to create the first wireless broadband network dedicated to police, firefighters, and EMTs. With the network in place, first responders will be able to communicate across the U.S. and its territories. Currently, first responders use commercial networks for mobile data and applications, but this can be problematic, such as in the recent Verizon data throttling case. FirstNet’s system guarantees priority and preemption for emergency responders. This network is designed to be particularly helpful during times of high crisis such as natural disasters, when commercial networks can become congested. In addition, many forms of first responder technology are being outfitted with self-contained communication systems to ensure that they will still be able to send information during a major disaster. 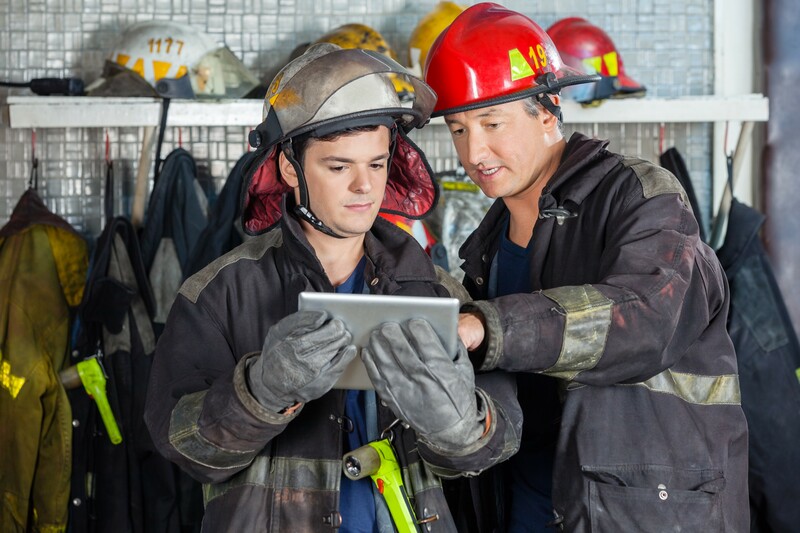 These and other forms of first responder technology help public safety organizations manage and control situations effectively because they have access to critical information. With informed decision making, departments can prevent injuries and LODDs. Overall, it is impossible to eliminate LODDs. However, many forms of first responder technology and other public safety initiatives are working to greatly decrease the number of injuries and deaths that occur on duty. With these measures in place, we can hopefully keep first responders as safe as possible considering the inherent danger of their jobs. As first responder technology continues to improve, we look forward to the innovations and new products that will help first responders perform their duties as safety and effectively as possible. To learn more about Adashi’s public safety technology solutions, check out our product pages or contact us today.